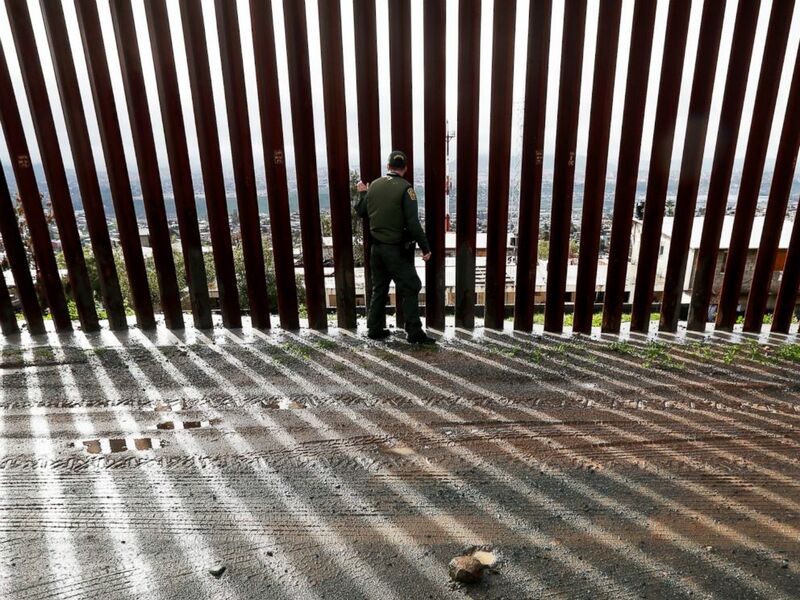 Border Patrol agent Vincent Pirro touches a section of the border wall separating Tijuana, Mexico, behind, from San Diego, Feb. 5, 2019, in San Diego. Homeland Security Secretary Kirstjen Nielsen was in Mexico and Honduras this week meeting with their leadership to sign new partnership agreements. Pompeo testified before the House of Representatives on Wednesday about the administration's efforts, saying the president had instructed him and Nielsen to use U.S. funding to "develop a set of programs that reward effective outcomes, that reward good leadership, that get us to a place where we actually achieve the outcomes." 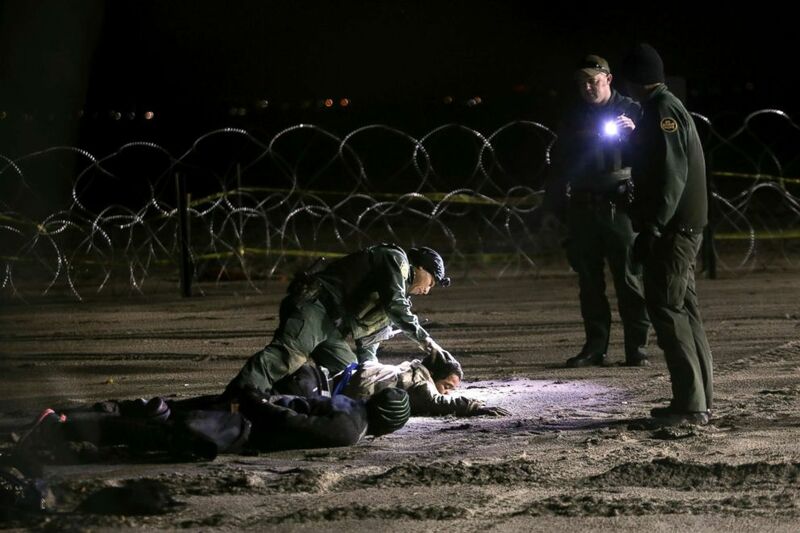 A U.S. Border Patrol agent pats down Honduran migrants after they crossed onto U.S territory from Tijuana, Mexico, Nov. 30, 2018. “The United States of America has never been more committed to strengthening our partnership with the nations in the Northern Triangle to help ... tackle the problems facing our shared neighborhood,” Pence said in October when hosting leaders from the Northern Triangle and Mexico at the State Department with Pompeo. Trump's previous threats to pull the plug, however, had often left U.S. officials scratching their heads and straining to explain why these funds described as key to stemming migration would be cut off -- as punishment for not stemming migration. When Pompeo was challenged on the president’s previous threatening tweets on Wednesday, he told Congress, "I’m not going to comment on my evaluation. You asked me about the U.S. policy, and I’ve done my level-best to articulate it."